I love SO MUCH when clients come back for another round. Back in April 2018, I documented an incredibly powerful moment where Duane was reunited with Gabby after being deployed for 6 months. I had never documented a homecoming before and I learned so much about Navy couples and the struggles they endure. 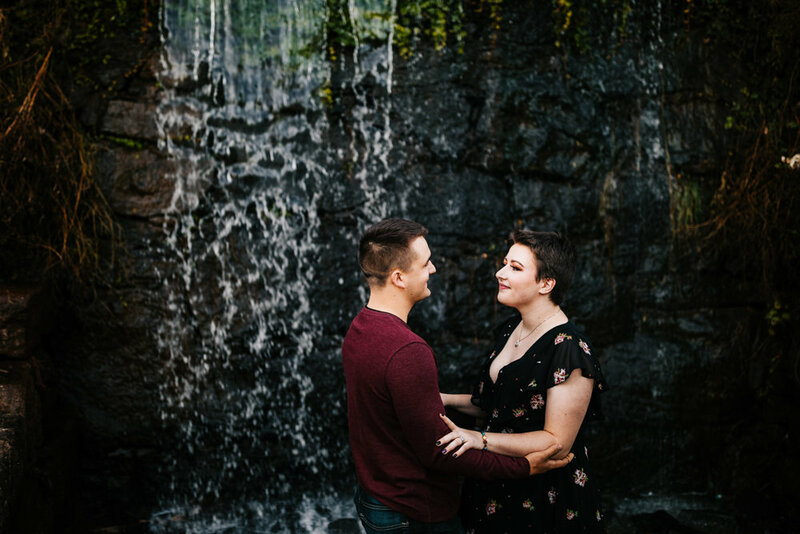 These couples are model couples and such an example in unwavering patience and loyalty. 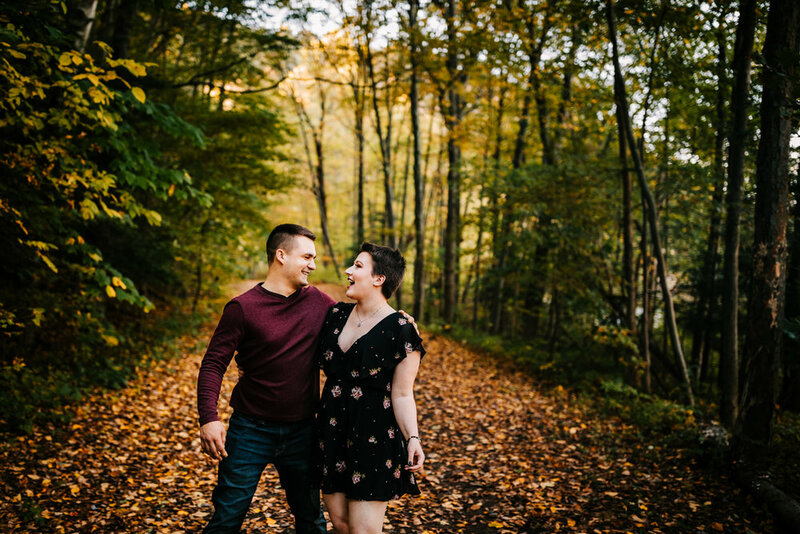 I was so excited when Gabby got in contact in the fall to do a mini-session with Duane. 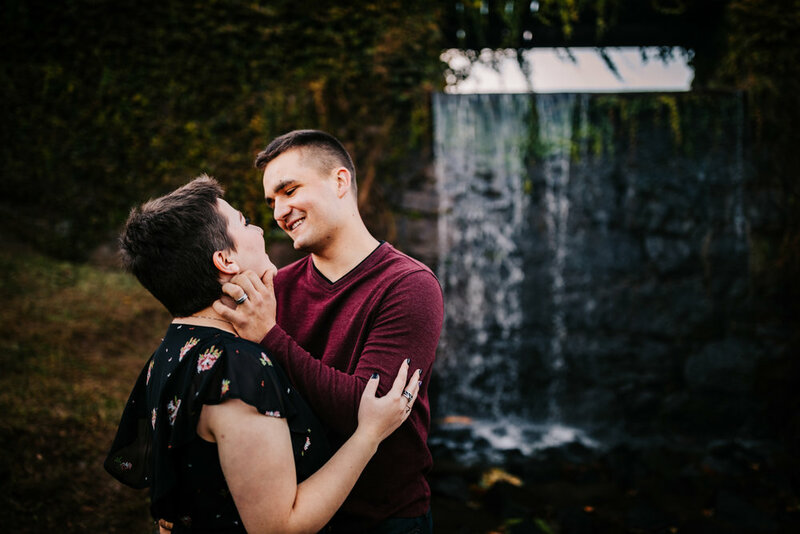 Not only did I get to hang with them again, but we got to have a legit couples session just to celebrate them (and this time, not in the pouring rain)! 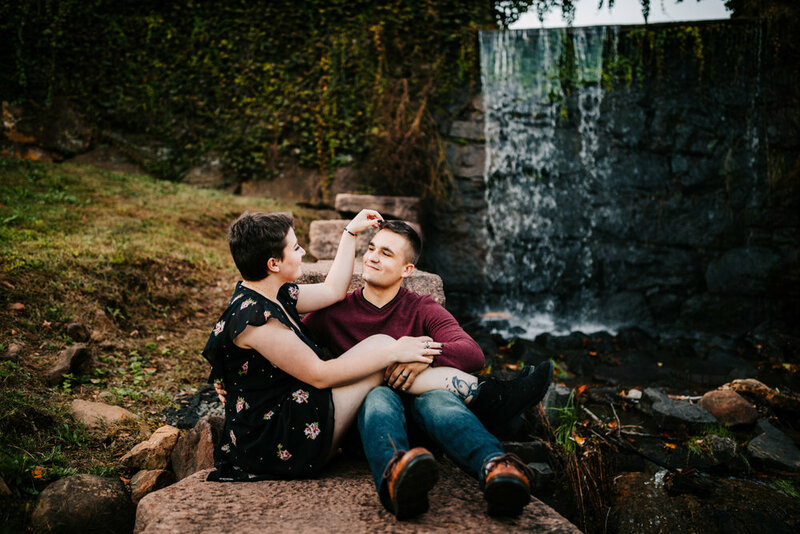 We met up at Hubbard Park, in Connecticut and had such a blast together. 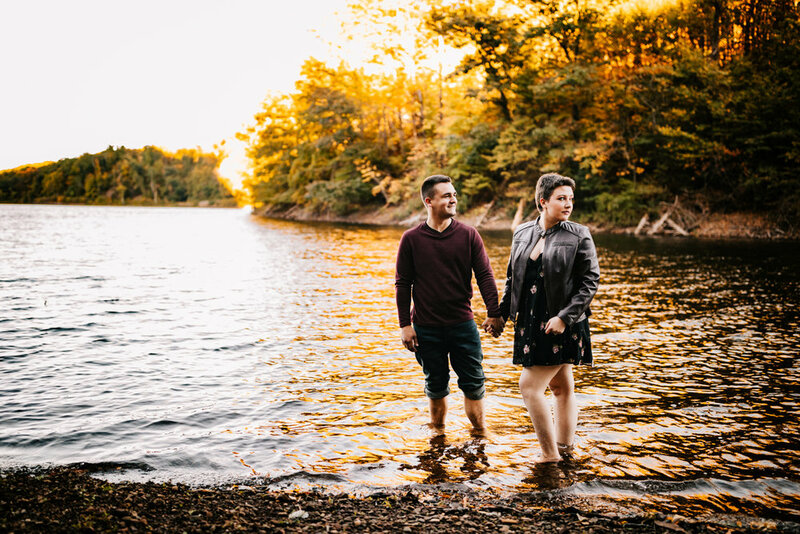 With cliffs that barely look like New England, clear water Gabby and Duane were more than willing to wade through in the cold, and the vibrant leaves pulling it all together, this session was as perfect as a mini-session could get.